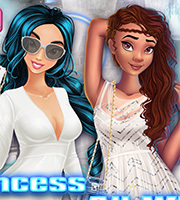 Description: This year princesses decided to spend their summer exploring south! Looks like somebody’s going to get country-styled! Good old bouffant wings, shiny buckles and cowboy boots. 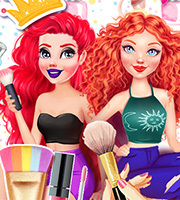 Do you like this style as much as Anna and Merida do? 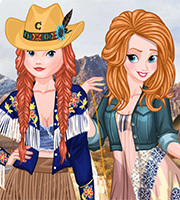 They are a country gals at heart and they surely want to get the look and the style of a country pop diva. Let’s get through all of their chic and highly feminine wardrobe featuring lovely printed dresses, shirts, tops, jeans, vests, boots and cowgirl hats. 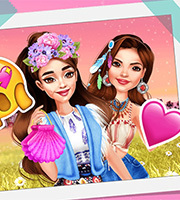 Any stylish city girl could learn some amazing style tips from this country cuties! It’s fashion time, y’all!